You're sure to brighten her day when you send this striking arrangement. 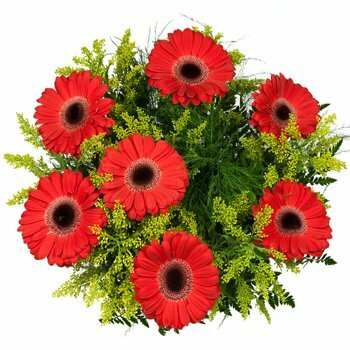 Eight dazzling Gerbera daisies in stunning red are artfully arranged atop a bed of lush green and tiny yellow wildflowers. Moms, loved ones, anyone will smiles when you send the Splash of Spring Bouquet.